Blue is a perfect shade to create a relaxing atmosphere in the kitchen. Blue kitchen ideas can come in many shapes, from bright eclectic to quiet, soft-colored kitchens. Light blue shades may serve as “neutral” colors, while the brighter ones serve as accents. 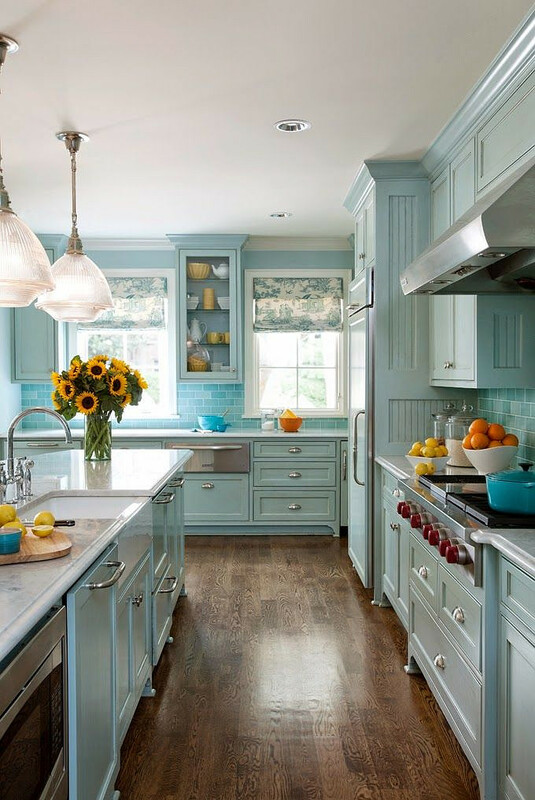 Here are some ideas to create a beautiful blue kitchen. 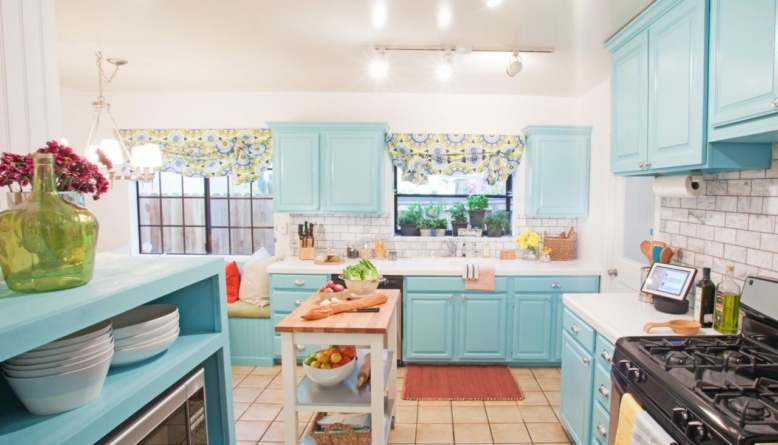 There are many ways you can create a beautiful kitchen with blue kitchen cabinets. Ice blue, light blue, and grayish blue are great if you like elegant or relaxing shades. These colors are great to be paired with bright accents, such as dark red or orange. Light blue is great when paired with wooden elements. You can have greyish blue cabinets to be paired with a rustic dinner table. You can also pair ice blue cabinets with wooden ceiling beams. 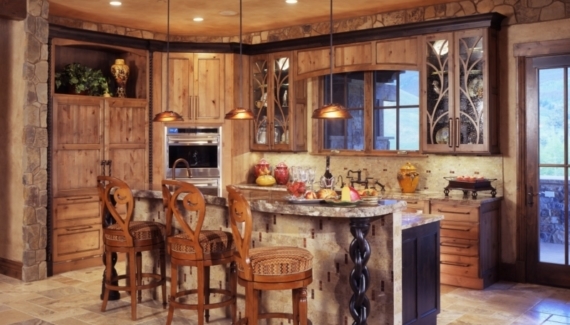 A cupboard can serve as both functional and decorative piece in the kitchen. 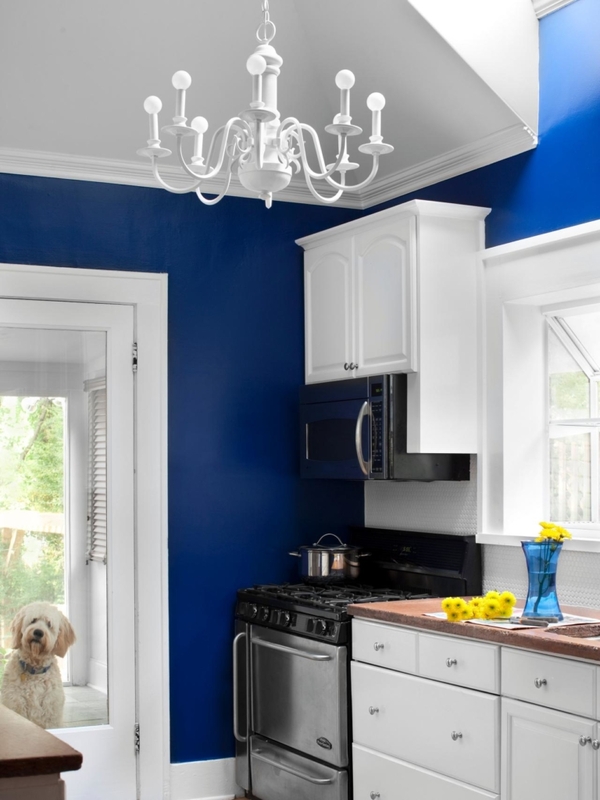 You can choose a blue color that complements your kitchen tone. Use glass doors (or skip them) to flaunt your ceramic and mug collections. Blue collections, such as ceramic/porcelain plates, cups, and mugs, will complement your blue kitchen. If you prefer a minimalistic kitchen with white shade (such as Scandinavian kitchen), you can choose a bright blue cupboard to create a focal point. Soft blue will create a relaxing look, while rich blue makes your kitchen pop. 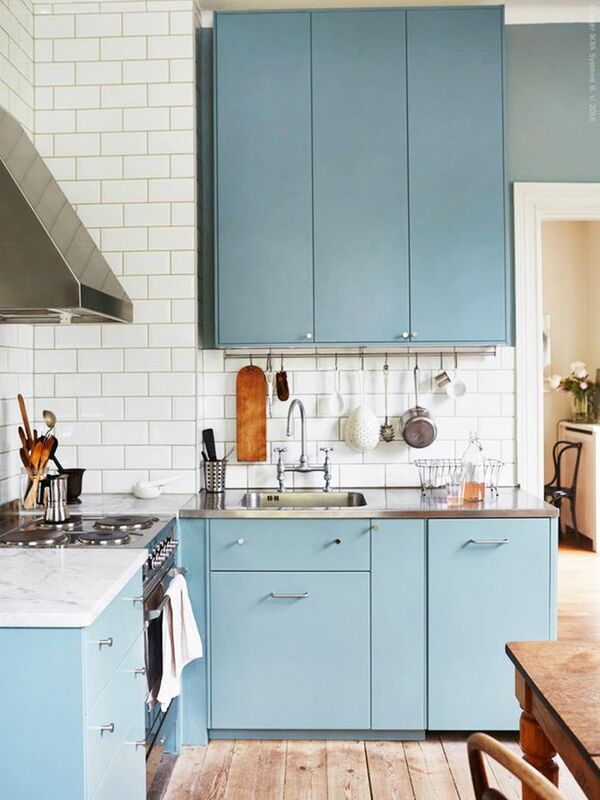 Blue is a great color for kitchen walls. Greyish, ice, or light blue are great alternatives for “neutral” shades, especially if you are bored with white, grey, or beige. You can pair them with a lot of accent colors, such as yellow, orange, or burgundy. If you love bright blue, you can use it as a wall color, but pair it with neutral shades or subdued ornaments. 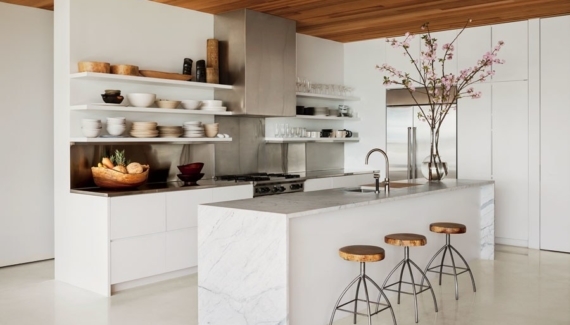 For example, you can pair blue walls with white brick backsplash. You can also choose white-blue tile mosaics on the walls to cut the rich shade. 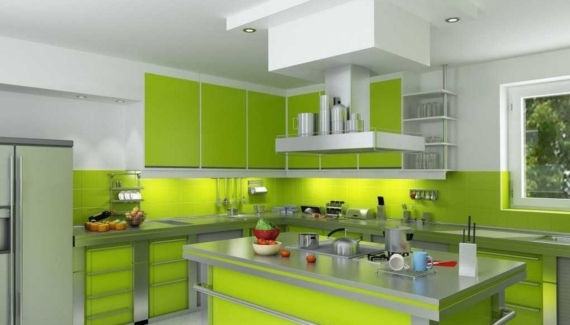 Do not get stuck with “boring” colors when decorating the kitchen. These blue kitchen ideas will turn an ordinary kitchen into the most eye-catching room in the house.